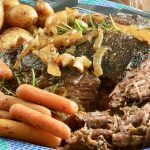 Pull apart tender Balsamic Beef Roast is made in the crock pot for the easiest way to make and serve full flavored meal(carrots & potatoes included) for company without spending hours in the kitchen. I love slow cooker meals because they scream comfort food to me. As busy as we all are these days comfort food always seems to hit the spot. Look at how the meat is so tender it can just be pulled apart with your fork! Be mindful of how full you load the slow cooker. You should aim for 1/2 to 3/4 full to not have too much liquid or not enough and then the meat/veggies burn. NO PEEKING! Leave the lid on once you start cooking. By taking of the lid, it will greatly reduce the temperature and could take up to 20 minutes to get it back up to where its really cooking! If the recipe calls for herbs, spices or dairy you will want to add them in the last hour of cooking. (yes, this is the exception to the no peeking rule, but in the last hour you are pretty much done cooking.). If you add those items at the beginning the herbs and spices will boil out and have no addition to the flavor. The dairy has a tendency to curdle. Trim the meat of excess fat to keep the the jus from being too oily. You will just have to strain it out at the end so its better to trim most of it before cooking. 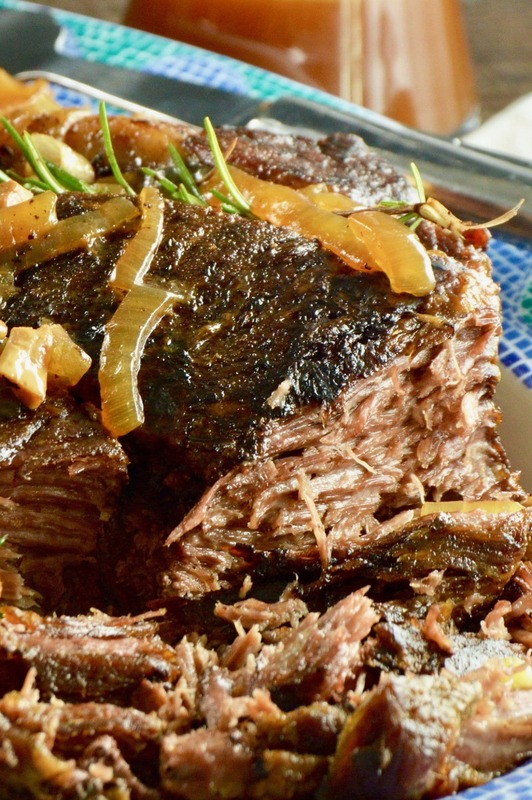 You don’t need any oil for moisture when cooking in a slow cooker. 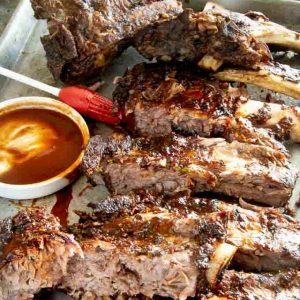 You won’t lose any liquid so you may want to remove the meat and veggies before serving and reduce the liquid to a more concentrated form. You can also thicken the liquid at this stage as adding flour or any thickener while cooking will not happen since it doesn’t get to a high enough temperature. 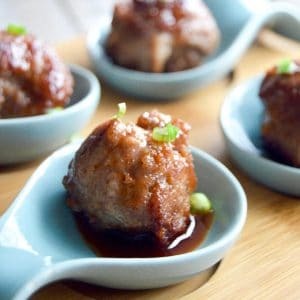 Looking for other meals for weeknight entertaining quickly? 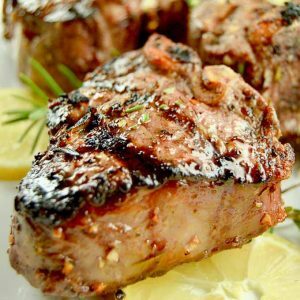 Check out my recipes for Mustard Cream Chicken, Smoky Jambalaya or Grilled steak with Bourbon Butter. 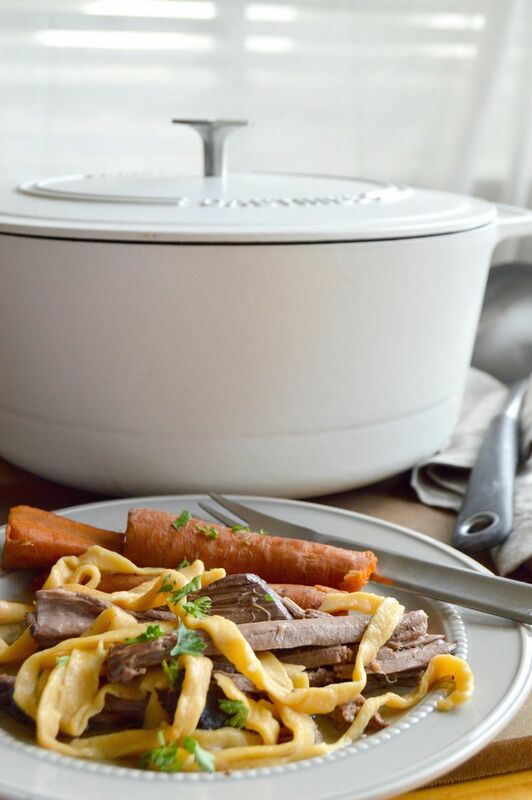 More Crock Pot/Slow Cooker and Braised on the stovetop Recipes you might enjoy! 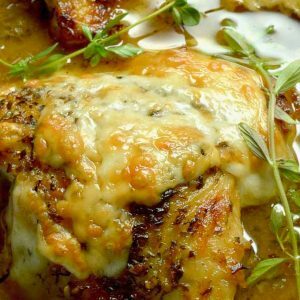 More Gourmet Comfort Food Recipes you might enjoy! 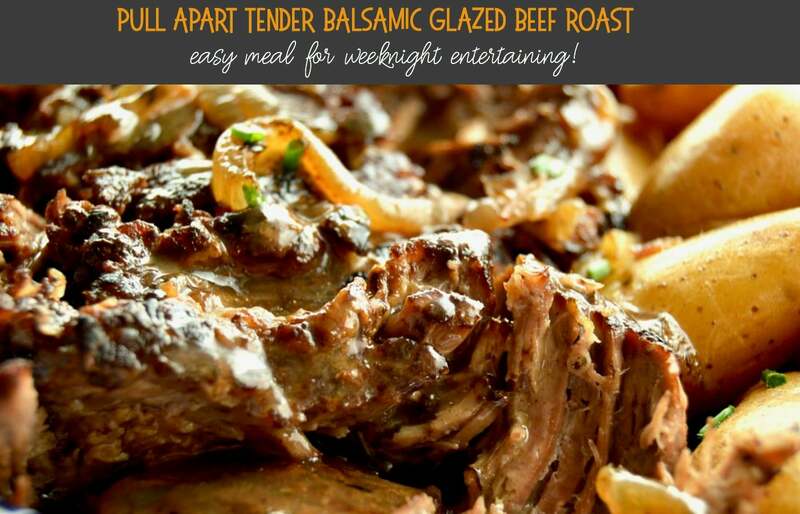 Pull apart tender Balsamic Beef Roast is made in the crock pot for the easiest way to make and serve full flavored meal for company without spending hours in the kitchen. If your crock-pot allows cooking on the stove, use that to heat to high olive oil. If not, in a large skillet heat oil to high. Season roast with salt and pepper and brown the roast on both sides about 10 minutes total. Remove meat to side plate. In the crock pot or skillet place minced garlic, sliced onions carrots and potatoes and saute for 10 minutes until onions are slightly browned and wilted. In the bottom of the crock pot add all liquids, (water, balsamic, Worcestershire sauce, and soy and mix well. 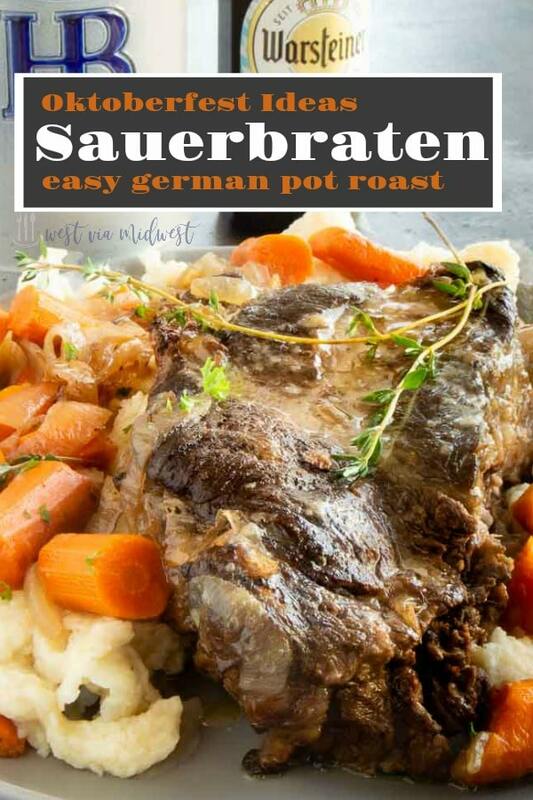 When roast is done, remove roast and vegetables from he liquid and place on a serving plate. Cover with plastic/foil to keep warm while you skim any top layer of fat from the broth. (You can also strain the broth if you wish, I don't, because we like it more rustic.). Add cayenne pepper to 2 tablespoons corn starch and add 2 tablespoons broth to make a slurry. Then add slurry back into broth and stir until it thickens. Season broth with salt and pepper to taste. 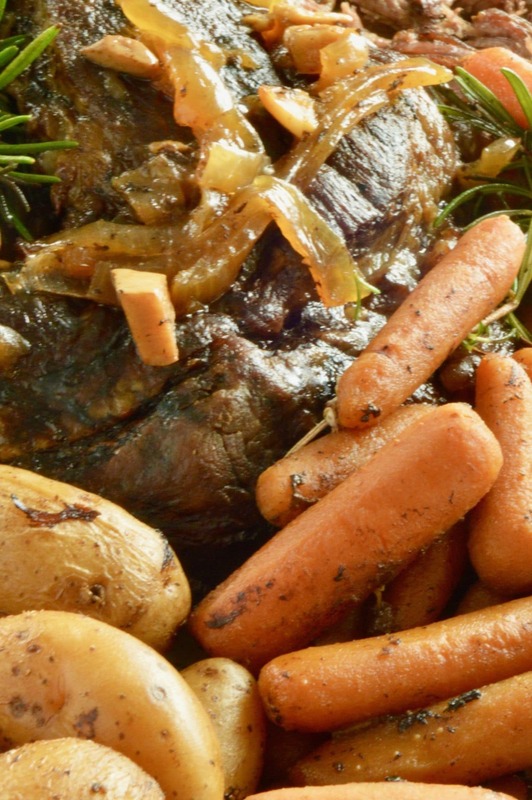 Pull roast apart with fork and serve along side vegetables. Serve thickened broth along the side. This is definitely a comfort food and I love every delicious thing about it. My mother used to cook the dryest roasts ever and just claim they fell from the bone they were so tender. This is what tender and elicious looks like to me!